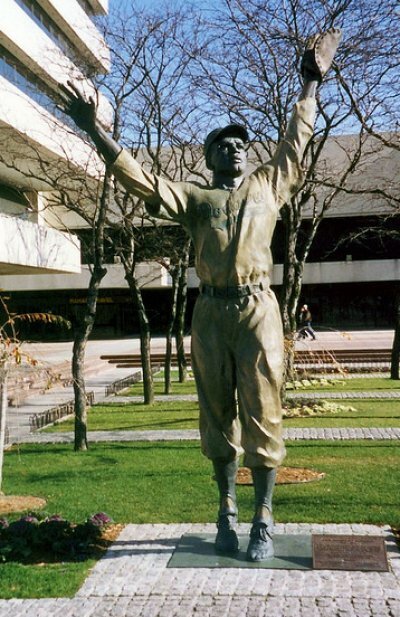 The first ever database of statues commemorating baseball’s biggest stars has been compiled by researchers from the University of Sheffield, UK. 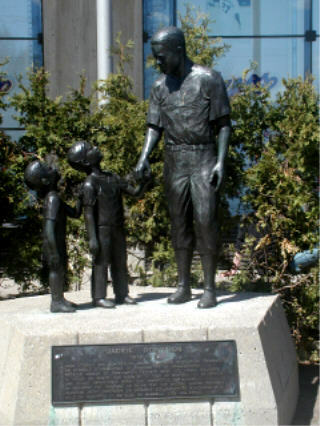 From ballparks to sports bars, museums to city squares and schools to cemeteries, life-size bronze depictions of men, women and children enjoying the national pastime can be found all across the US and Canada. 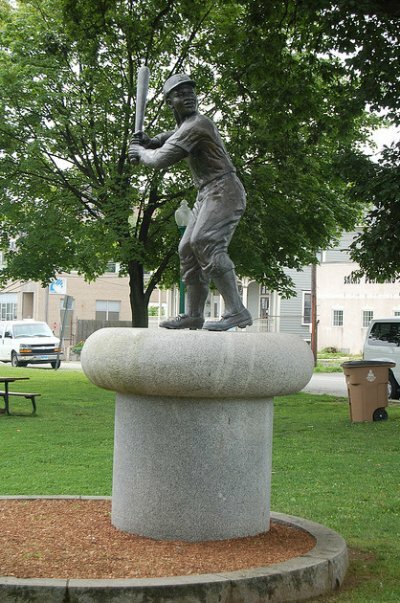 The striking database, at http://www.sportingstatues.com, records over 200 baseball statues currently across the continent, featuring information on when the statues were unveiled, who sculpted them and the inscriptions on plinths or plaques, as well as images of each statue and links to location maps. 35 US states feature a baseball statue, with 70 per cent of statues located at or close to a major or minor league ballpark. Dr Chris Stride, a statistician from the Institute of Work Psychology, University of Sheffield and Ffion Thomas, a graduate student from the University of Central Lancashire, have worked on the project for the past 18 months. Checking the website, Jackie Robinsoon has been commemorated in five states and Canada with seven statues, the most of any player. I have only seen two of these statues, the one at UCLA and the one in Brooklyn. 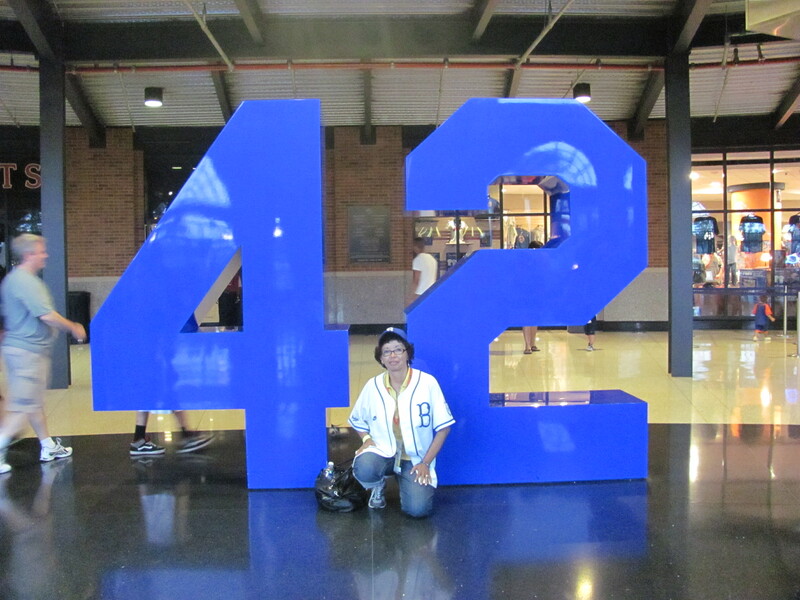 I hope someday to see the rest and that some day the Dodgers will have one at Dodger Stadium. This awesome site also has a interactive map. Check out the website. I know I will be back to check more statues. Happy 94th Birthday Jackie Robinson. 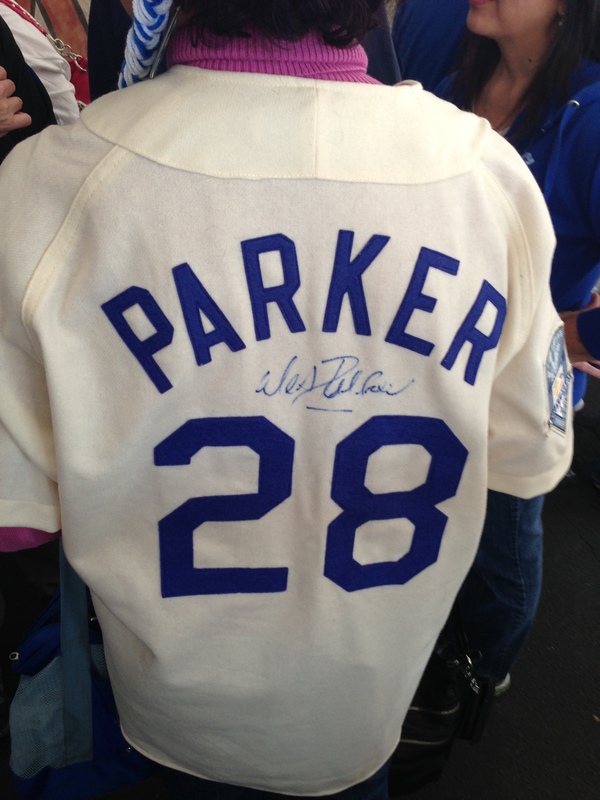 What Happened to that Jackie Robinson autograph? At Citi Field in 2011. Picture taken by Abby. 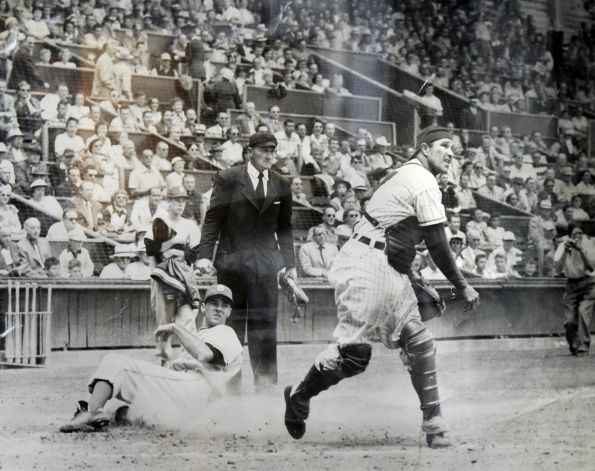 Gerry Goran: What Happened to his Jackie Robinson autograph? Here is a video I recorded of Gerry where he explains what happened to his Jackie Robinson autograph. Jerry, his son James and James kids, Stew and William sit in the Top Deck. You can see a little of James in the video. So I just got a call from the Dodgers that my Top Deck row seats are being taken out at Dodger Stadium. They say they will move me to a comparable location. Section 1 or 5. Yeah, I need to go to Select A Seat. I don’t think I can take off time at work for my scheduled appointment on Thursday. Maybe Friday but for sure Saturday. I need to see what my friend Lorena is doing. Is she moving? Who else is moving? They are disrupting our Top Deck family! They are expanding the handicap area so we will see how it looks after. NOTE: I like my seats that are in the shade! World Series: Giants and Tigers oh My! I am still excited about the World Series! Yeah, even if the Giants are in it. 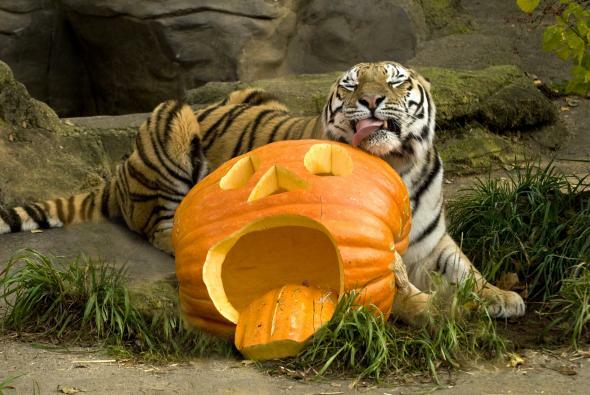 Of course I am rooting for the Detroit Tigers!! No respecting Dodger fan would root for the Giants. Just like I expect no self respecting Giant fan to root for the Dodgers. Go Tigers!! Beat the Halloween team! A well rested Justin Verlander takes the mound at San Francisco against Barry Zito. Dodgers will go to Australia in 2014!? Wow! 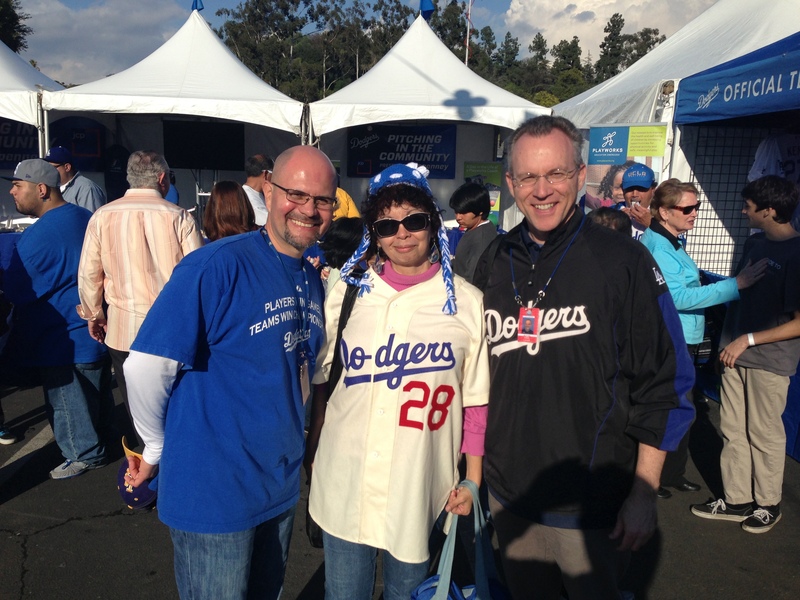 I got the message from my friend Rosie that the Dodgers might open 2014 in Australia! Start saving those dollars and vacation days. Jackie Robinson died 40 years ago today. and at the Pasadena Civic Center where the sculptures of Mack and Jackie Robinson overlook the City Hall building. Like Erskine says in the article “It’ll be interesting to see what the new Dodger owners do up the hill, though Vinny and Koufax seem like the surest of things. Remembering how Jackie Robinson decided to retire instead of going to the Giants! Go TIGERS!! Have You Ever Seen The Sunset Boulevard Sidewalk plaques in Echo Park? Have you ever noticed the Sunset Boulevard sidewalk plaques in Echo Park? I first noticed them a few years back when I was meeting friends at Barragans on Sunset boulevard on a Sunday before the Dodger game. The plaques are all sports related. I took pictures back then but never used them in a blog post. I asked several people at the stadium, and other people like Terry Cannon but no one could tell me anything about them. When did they started appearing? Who put them there? 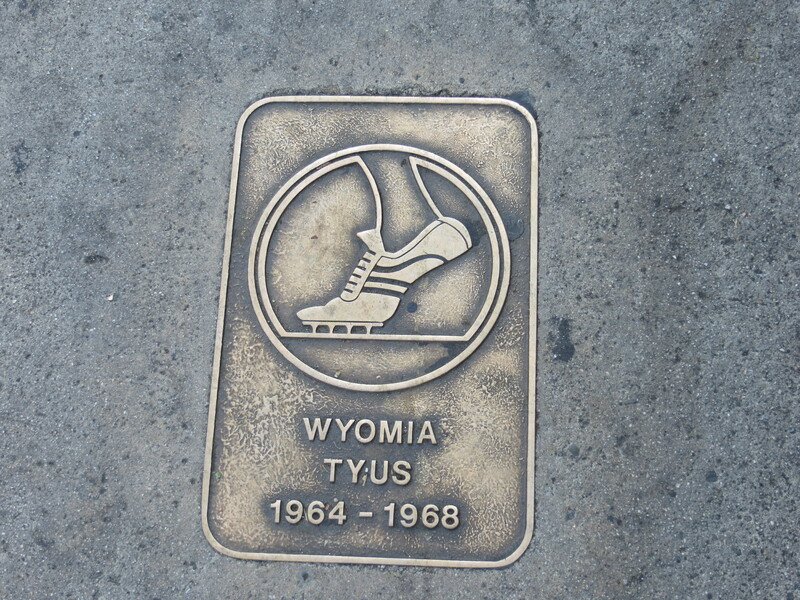 Among others are Wyomia Tyus who won the Gold in 1964 and 1968 in the 100 meter dash. Others are Boxer Jimmy McLarmin, Rafer Johnson, Jack Kramer, Bob Seager, John Longden, Bill Shoemaker, Glen Davis, Ellsworth Vines, Joe Louis, Parry O’Brien,Kareem Abdul-Jabbar, Billy Jean King, and many others. But who put this together? L Andrew Castle? A photographer! Castle happened to be the owner of both a small camera shop and a big dream. His dream was to improve the struggling commercial center of Echo Park along Sunset Boulevard, maybe even transform it into a tourist attraction. With Dodger Stadium just a 10-minute walk up the hill, what better way to do that, he thought, than to shine some reflected glory of sports heroes down on the relatively unglamorous street of shoe stores, banks, bakeries and restaurants? 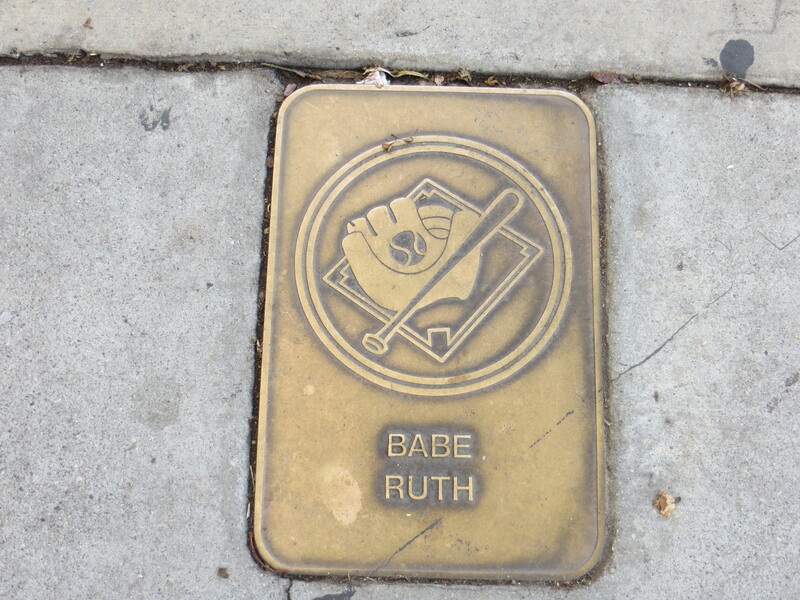 So, at Castle’s urging, the City of Los Angeles in 1974 declared the 10 blocks of Sunset Boulevard between Elysian Park Boulevard and Alvarado Street to be the Avenue of the Athletes, allowing sidewalks to be dotted with tablets bearing the names of superstar jocks. Castle himself hardly fit that image: At the time, he was a short, slow-moving, elderly man. Castle worked at Dodger Stadium! Castle, who also worked as a photographer for the Dodgers, got the team and other local merchants to back the project financially. The first plaques were laid in concrete in 1976 during what was supposed to be an annual ceremony. But Castle died two years later and the Avenue almost died with him. The ceremonies stopped and the designs for the plaques were even lost for a while. It was not until 1980 that the Echo Park Chamber of Commerce was able to revive the project, which even its biggest boosters concede has yet to fulfill Castle’s dream. To symbolize that, a plaque bearing Castle’s name was laid in concrete last week in front of the store he used to own at Logan Street and Sunset, Castle’s shows a camera.